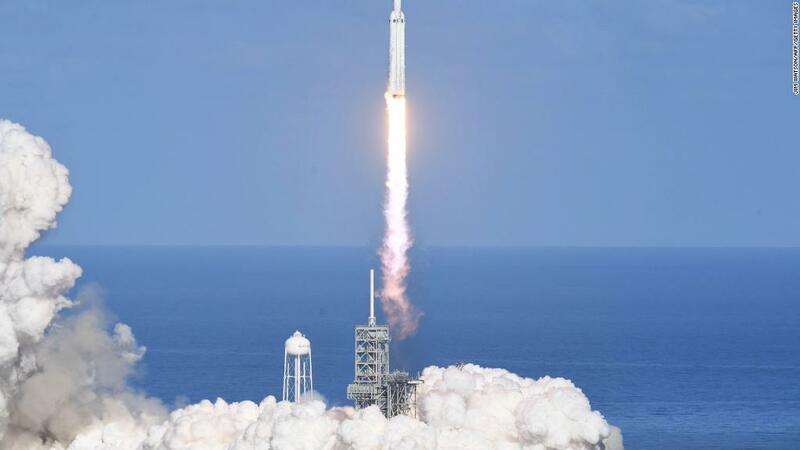 SpaceX launched its new rocket on an uncrewed test flight from Kennedy Space Center on Tuesday. 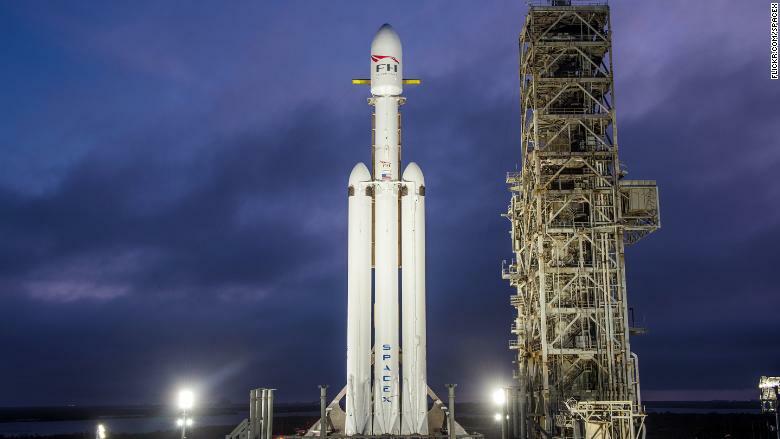 The private space company says the rocket, called Falcon Heavy, is the most powerful rocket in use today. It is not, however, bigger or more powerful than the mighty Saturn V that was used to launch the Apollo astronauts to the moon in the '60s and '70s and then to launch the Skylab space station in 1973. And there are plans for a few other rockets that could one day rival the Falcon Heavy. 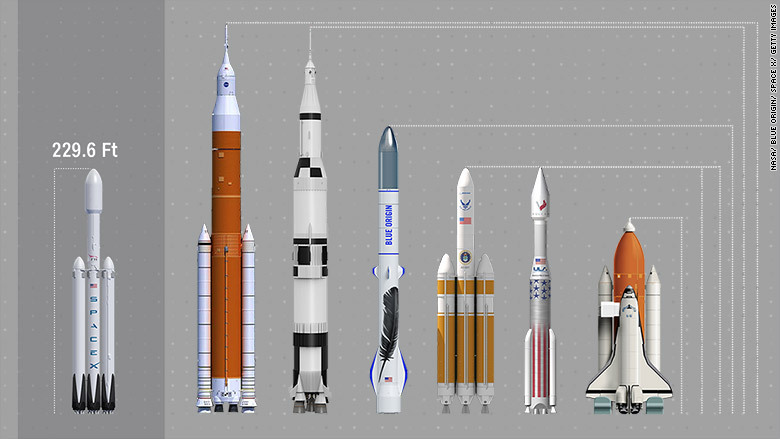 Here's how some of the biggest U.S. rockets -- of the past, present, and future -- stack up. SpaceX says the rocket is the most powerful currently in operation with more than double the power of ULA's Delta IV Heavy. 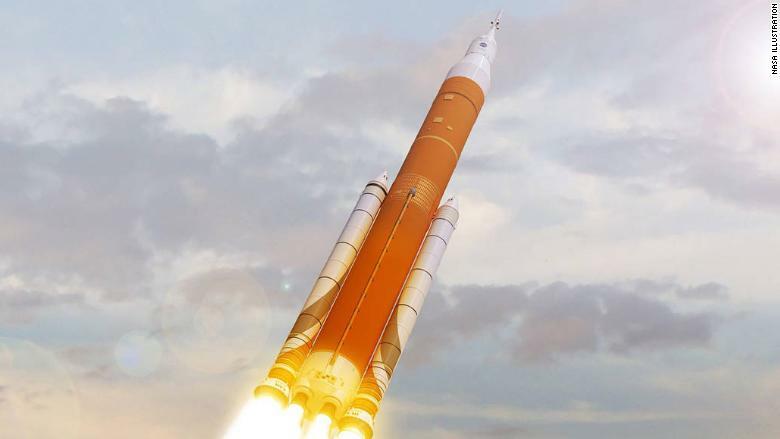 NASA's SLS could be the most powerful rocket ever made. NASA is building the Space Launch System, a rocket designed to take people into deep space and potentially Mars. The space agency will be able to configure the rocket differently for each mission. The Saturn V launched the first-ever astronauts to land on the moon. The Apollo 11 mission took off July 16, 1969. Even after the Falcon Heavy launches, the Saturn V will remain the tallest and most powerful rocket ever, and the only one to help carry humans beyond Earth's orbit. NASA used the Saturn V to send astronauts to the moon in the Apollo 11, 12, 14, 15, 16 and 17 spacecraft. 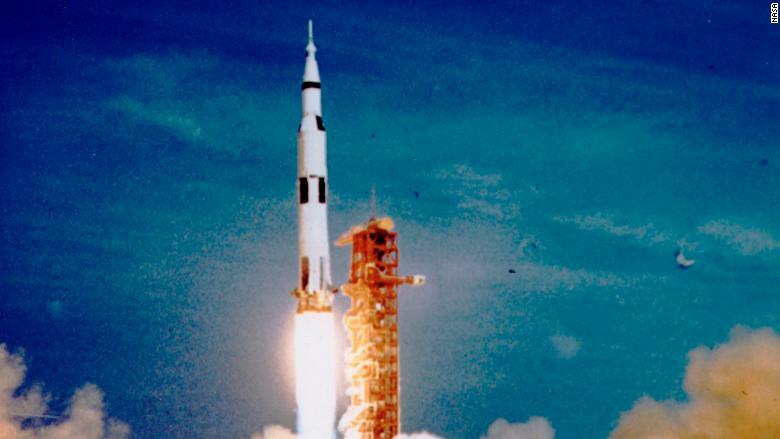 A Saturn V also launched Apollo 13, but the spacecraft (not the rocket) had a problem and the astronauts didn't land. The last Saturn V was used to launch Skylab, America's first space station, on May 14, 1973. Blue Origin has a massive new factory in Florida where it plans to build New Glenn. 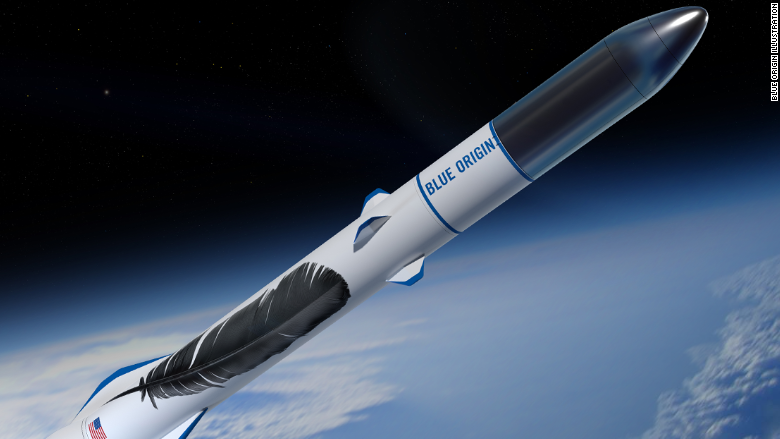 Blue Origin -- the space startup created by Amazon's Jeff Bezos -- has a small, reusable rocket to send paying tourists on trips to sub-orbital space. But, the company also has plans for a monstrous new machine that can send people and payloads to Earth's orbit. It'll come in two configurations: one with two stages and another with an added third stage for extra boost. ULA's Delta IV Heavy was the most powerful rocket currently in operation for years. SpaceX's competitor, United Launch Alliance, has the Delta IV Heavy. This rocket was first tested in 2004 and it's taller than the Falcon Heavy, but SpaceX is promising to take up heavier payloads. 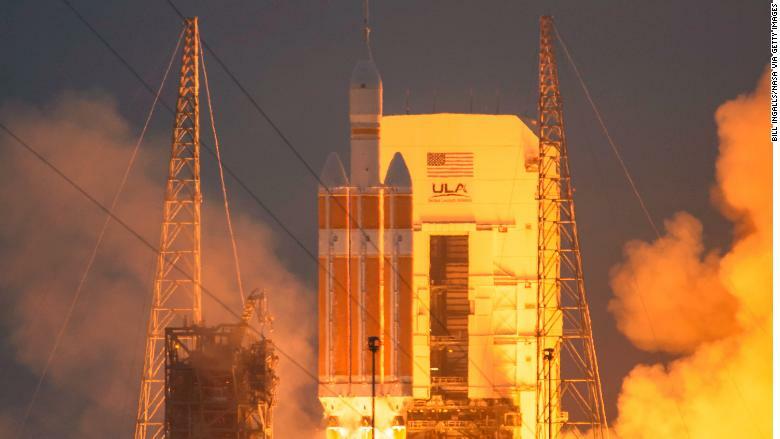 The Delta IV Heavy doesn't fly often, but it's been the U.S. military's go-to rocket for sending large national security satellites into orbit. Legacy aerospace firm ULA plans to introduce Vulcan as its next generation rocket family. 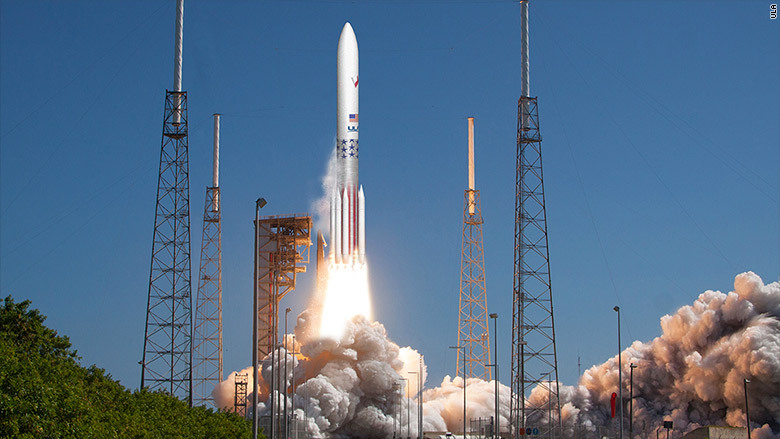 United Launch Alliance is developing a new generation of rockets, dubbed Vulcan after the Roman god of fire. The concept was first announced in 2015, and CEO Tory Bruno has said the most powerful version of the Vulcan could rival the Falcon Heavy's power. The Vulcan can add thrust by strapping extra rocket boosters to the sides of its main column. NASA conducted more than 135 missions with its Space Shuttle fleet. Space Shuttle refers to the reusable spacecraft system that NASA developed to send people and payloads into orbit between 1981 and 2011. The systems consisted of a white winged "Orbiter" with powerful engines that attached to a massive external fuel tank and two rocket boosters on the launch pad. 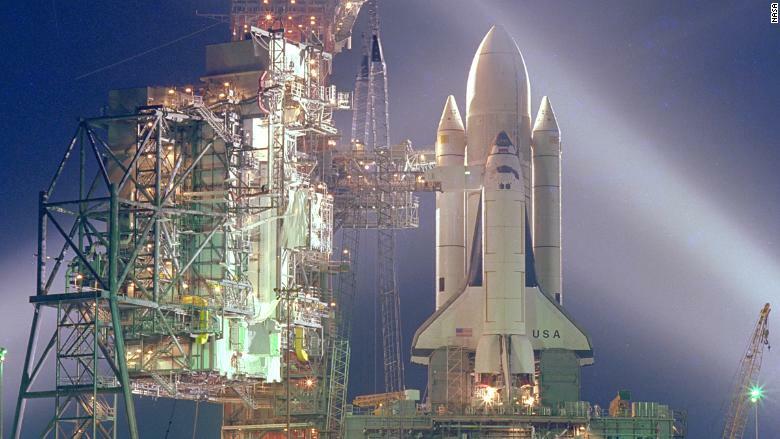 There were five "Orbiters" capable of spaceflight -- Columbia, Challenger, Discovery, Endeavour and Atlantis. Correction: An earlier version of this story misstated the capability figures for Blue Origin's New Glenn rocket.